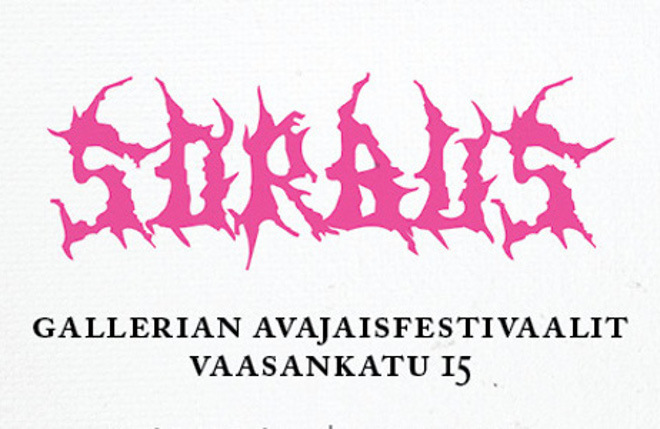 A new gallery called Sorbus is opening at Vaasankatu 15 (formerly known as Kingikongi). The Opening Festival during 18.-26. January will be packed with music, poetry, performance and audiovisual experiments. Listen to Janne Kortteinen read his poetry 18.1, check Oukkidouppis super-rare music videos and gig on 19.1, carve your own vinyls on 20.1, experience KOELSE:s live-cinematic experience 26.1, or just read the whole program from Sorbus tumblr-page. The first exhibition will be by KOELSE starting 1.2.2013. Sorbus Gallery is supported by Pixelache Helsinki.